July 14, 2017 By Peter Irlam 2 Comments / This post may contain affiliate links at no extra cost to you. Please see my full disclosure for more info. 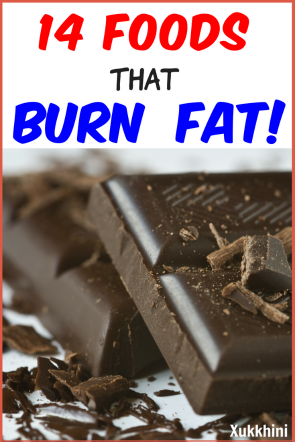 Why are there some foods that burn fat, while others don’t? 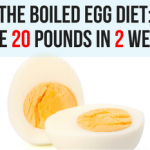 And how can you use these fat-burning foods to tighten your tummy? One approach is through ‘thermogenesis’. This is a scientific term which refers to the amount of heat that your body produces. The more heat it produces…the more calories it will burn. Some foods create more heat when you digest them than others. And this makes them the perfect foods that burn fat. 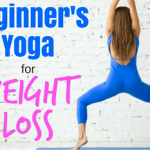 In an exclusive interview with Xukkhini, Neil McNamara, a personal trainer from ‘Full On Fitness’, shares his insights into these proven foods that burn fat and how they can help you lose weight FAST. Like myself, Neil gets cracking in the morning. Research from the International Journal of Obesity, revealed that a breakfast of two eggs can combat weight gain all day long. ‘It’s not surprising’, reports Neil. ‘Eggs are packed with healthy fats and protein. Sometimes I’ll add a knob of butter and I NEVER have cravings before lunch’. In fact, eggs score high on the ‘Satiety Index Scale’, promoting a feeling of fullness. They’re cheap, easy to prepare and one of the healthiest foods around. It’s no coincidence why the Polynesians are among the world’s healthiest nations. Coconut oil drives your body to release stubborn, stored fat. Neil explains that our body uses the fats in coconut oil like carbohydrates. 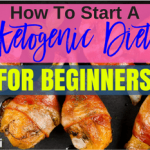 ‘It’s a different type of fat called MCT’s (Medium Chain Triglycerides). MCT’s are easily digested and burned for energy quickly, just like carbs. 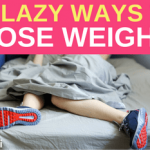 They can really spike your metabolism’. If you’re suffering from low energy levels, this tropical fruit can boost energy by 5% for 24 hours! 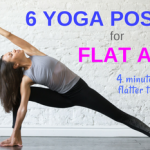 It aids your body’s ability to mop up nutrients, giving you that much-needed drive. 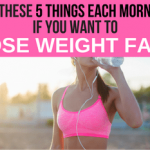 Like many of the foods that burn fat on this list, it also raises your internal thermostat, helping you to shed those last few stubborn pounds. Participants who ate half an avocado with their lunch felt full for up to 5 hours afterwards. ‘This is not surprising’, remarked Neil. 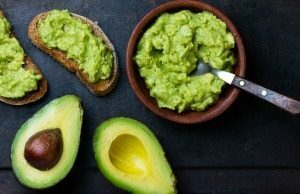 ‘Avocados are full of healthy fats and fibre. This winning combination rates high on the satiety-ometer. 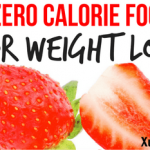 Overall, these people end up eating less calories without even realizing it’. The key, once again, is in the type of fat – oleic acid, the same fatty acid found in olives and olive oil. Protein is the key to staving off hunger pangs. And nuts and seeds provide a powerful protein punch. Not only do they contain healthy amounts of protein, but nuts and seeds contain many trace elements to keep your body working in tip-top shape. They offer an excellent substitute for unhealthy snacks like crisps and their portability makes them ideal if you’re on the go. ‘Many people are waking up to the health benefits of nuts and seeds. But simply eating a handful of walnuts can be less than compelling’. Sprinkle nuts or seeds on your cereal, oats or yogurt. I make a propriety blend of organic oats, pumpkin seeds, flax seeds and chia seeds. I’ll top it all off by throwing on some berries and raw, organic cacao nibs. Ever tried almond butter on your toast or bagels? This is one healthy breakfast that tastes shockingly delicious. Scatter in a handful of chopped nuts or sprinkle seeds into your favorite dishes. Don’t be afraid to experiment. Who’d have thought cashews and chicken would work? Nuts and seeds make a crunchy addition to salads, pasta and are perfect if you love stir fries. As mentioned in this weight loss post, a spoonful of creamy almond butter before bed can help prevent low blood sugar – a leading cause of waking through the night. Both do a great job of blocking the hunger hormone ghrelin. The Italian Borlotto bean is particularly famed for its appetite suppressing powers. ‘The active constituent in the Borlotto bean is called phyto-agglutinins. 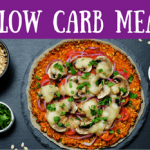 This is the key component that inhibits the hunger hormone and stimulates the release of other hormones that are responsible for the “I am full” message’. In addition, most of us don’t get enough fiber in our diets. 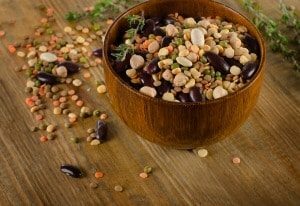 Besides triggering fullness, beans and lentils provide generous amounts of fiber helping us meet our fiber failings. I eat some form of berries almost daily. They are low in fruit sugars and packed with antioxidants. 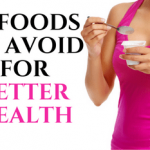 Lately, I’ve learned how they also improve satiety and prevent cravings. ‘It may sound surprising but the antioxidants in these summer fruits are the secret linked to weight control. Researchers from The University of Florida found that participants who ate more antioxidants weighed less. Even though they didn’t eat fewer calories’. I drink green tea mid-morning and matcha tea mid-afternoon. Both contain antioxidants that can fire up fat loss. A cup of dandelion or fennel tea after dinner helps reduce bloating. The caffeine in green tea raises your metabolic rate and stimulates the breakdown of fat. 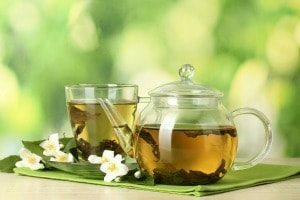 Researchers from the American Journal of Clinical Nutrition report that drinking four cups of green tea a day helped people shed more than six pounds in eight weeks!!! Another study found that green tea raises metabolism by 4%, meaning you’ll burn an additional 80 calories a day. Caffeine in both teas and coffee recruit ‘brown fat‘ as well as exhibiting positive effects against diabetes. The mechanism of brown fat is still poorly known but it seems to act very much like muscle and burns normal white fat when activated. I’ve been drinking a strong cup of coffee for years as the ideal pre-workout pick-me-up. Finally, a sweet indulgence that can make you skinny! Firstly, dark chocolate contains caffeine giving you an energy burst to keep you moving. One study from Queen Margaret University found that dark chocolate improves satiety and boosts your metabolism. 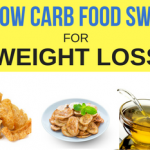 Another study from the Netherlands, revealed that the sweet snack helped participants to feel more full by lowering insulin resistance while also decreasing the ‘hunger hormone’ ghrelin. It’s also packed with catechins, the same antioxidant found in green tea that has been shown to melt away body fat. 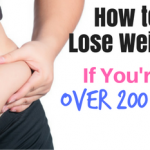 However, don’t abuse this secret fat loss winner and keep your portions small! Wouldn’t it be wonderful to burn more calories eating a food, that is actually contained in that food? Well…grapefruit just happens to be one of those ‘negative calorie’ foods. It also helps to lower insulin – only slightly – but enough to stop your body storing as much sugar as fat. Grapefruit contains the remarkable weight loss compound naringin. And the powerful effects of naringin are scientifically proven. In fact, they’re so strong, that medical experts warn against eating grapefruit whilst taking certain prescription drugs. An old bodybuilding trick was combining grapefruit, coffee and aspirin. This stack of three seemingly unrelated ingredients all magnify and build on one another. ‘It’s true’, agrees Neil. ‘They work ‘synergistically’. The naringin is believed to prolong the fat burning properties of the caffeine in coffee’. (quinoa, brown rice, whole grain cereal). Whole foods, high in fiber are difficult to break down. The exciting news is that your body burns twice as many calories digesting these foods vs processed ones. 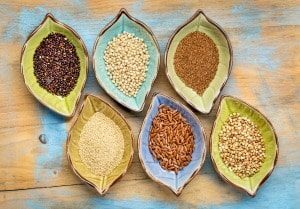 Grains have taken a bit of a rap in the media lately but intolerances aside, I don’t think it’s a good idea to completely eliminate any food group. Rich in protein, critical in the battle against weight gain. Protein helps to keep blood sugars stable and speed up the metabolism. Neil explains that your body burns a whopping 30% of the calories in meaty morsels. ‘To put another way, you lose 120 calories of a 400-calorie steak, simply by chowing it down’. When you’re feeling peckish, indulge your hunger pangs by feeding them protein; a sure-fire way to satisfy those cravings. I stock my fridge with convenient chicken slices. This does the trick every time. Apple cider vinegar is arguably enjoying something of a star status. It can produce miracle results with many swearing to its effectiveness. Mixing 1 to 2 teaspoons into a glass of water before each meal is one popular practice. 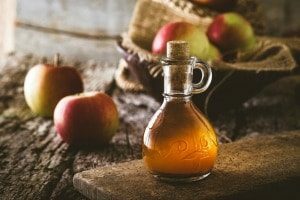 ‘Apple cider vinegar blocks the digestion of starch. Ultimately, you end up absorbing fewer calories as a result. The science behind the claims seems to show promise’. Radishes have not experienced the meteoric rise of many other ‘superfoods’. However, I believe they deserve top ranking. These root vegetable contain ‘flavonoids‘ – plant power – that could help you lose a few pounds. New findings from Harvard University and the University of East Anglia found a single serving a day was enough to make a difference. Furthermore, the typical ‘bite’ in radishes indicates high amounts of sulfur…the substance that keeps your skin, elastic, healthy and young. 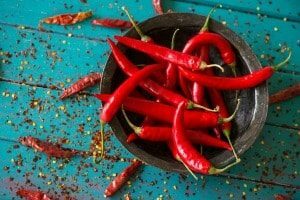 Capsaicin, the compound that gives chili peppers their kick, dials up body temperature to melt fat. Add it to soups, eggs and meats. It works in all forms: Cooked, dried, raw or powdered. 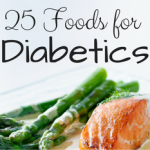 Some of these foods are calorie dense. 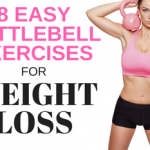 However, use them judiciously, and they may just be the missing piece to your fat loss puzzle. Thanks for reading and be sure to pin this in case you need a reminder later! « Her ‘Weird’ Diet Caused Her to Lose 10 lbs In a Week…Without Exercise. Thanks for the information. I need all the help I can get as a mother of three. So, I knew about avocadoes, I call this the superfood. I also knew about berries and its benefits. Green tea I am also familiar with. I will add grapefruit to my diet and I definitely need more whole grain in my diet. Great Post! Hey Kay! You sound very busy! 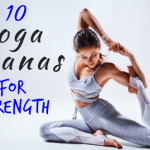 These foods will give you the energy you need 🙂 Delighted that I was able to add a few more ‘super’ foods to your tool kit. Thanks for your kind comments. Regards, Peter.